Try Bath & Bodyworks Anti-Bacterial PocketBac Hand Sanitizer with the coupon you can print via Facebook. Just check Bath & Body Works status here. 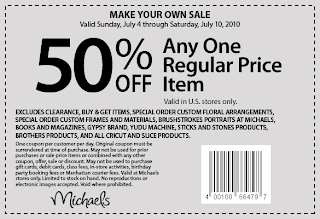 Coupon is valid until 08/01 or while supplies last. TAKE 25% OFF YOUR ENTIRE ORDER + FREE SHIPPING! One of our readers, Nay, pointed out to me that I posted the wrong coupon! This one is good till tomorrow. FREE Ziploc BTS Pack – Still Available! A FREE Zoo Video – starring your child! Shutterfly – Three FREE Cards! JetBlue Fall Fare Sale – Flights as low as $39! Giveaway – Perricone MD Cold Plasma & Forever Young Deal! Get an additional 20% off all SALE microfiber and stationery items at Vera Bradley. No code is necessary, discount is taken off during checkout. Don’t forget the summer sale where many items are marked 60% off! Today might be a good day to head to Target. I’m hearing reports that stores around the country have clearanced their toy section to 75%. This is a great opportunity to stock up for Christmas and birthdays. Keep in mind that Target stores vary. Clearance selection will vary store to store and not all stores will have things marked 75% today. However, it seems that most stores did do the mark down today. Did you find anything great? We’d love to hear about your finds! Save 20% on Disney on Ice tickets! Save 20% and get the best seats first when you buy tickets before the general public. Disney On Ice presents Mickey & Minnie's Magical Journey - Make imagination your destination! Join Mickey Mouse and Minnie Mouse on a journey into the magical worlds of Disney's The Little Mermaid, The Lion King, Peter Pan, and Lilo & Stitch. Discover Ariel and Sebastian's enchanting undersea kingdom; visit the Pride Lands with Simba and Nala; soar through starry skies with Peter Pan and his sassy fairy friend Tinker Bell; and say "aloha" to fun with Lilo and Stitch. Use the password 'ICE' in the special offer box to save 20% presale tickets now! Enter code: ICE into Special Offers Box. Choose TicketFast® as your delivery method to quickly print your tickets online via your My Ticketmaster account. Enter the password "ICE" in the special offers box to take advantage of this discounted presale offer. Offer valid on regular priced $30, $25 & $18 tickets while limited supplies last. Not valid on previously purchased tickets. *The Sept. 23 7:30pm performance at AmericanAirlines Arena is in Spanish. I am rushing out the house but my guilty conscience wouldn't let me leave without posting. Thanks to my Guccis, who sent these deals to me! 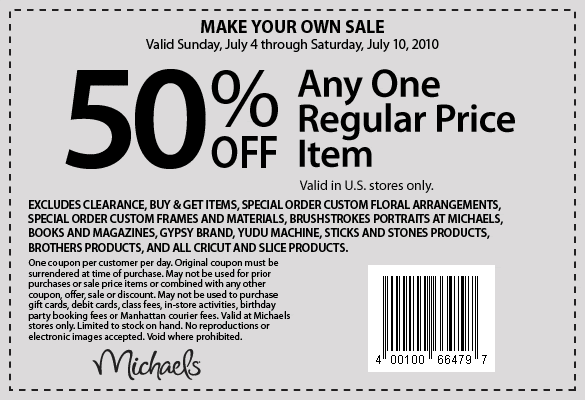 Here is a new coupon for 50% off one regularly priced item coupon at Michael’s, good until July 10th. Sanderson Farms Chicken Thighs or Drumsticks, $0.89/lb. California Red Seedless Grapes $0.88/lb.